At Rolling Hills we offer preschool worship at our 9:30 and 11am services. Our classrooms are divided by age and development level. We strive to create an environment that is preschool-friendly and Christ-centered. During your child's time with us, they will experience age-appropriate worship, Bible time and fun! Preschool children study First Look Curriculum from the reThink Group. It helps to reinforce the importance of ministry with the family both inside the walls of the church and out. Each week you will be provided with a Parent Cue which equips you to reinforce and carry on conversations with your child. If you would like to know more about Sunday mornings for preschoolers, please contact our Interim Children's Director, Amy Couch. We are delighted to have your child with us. It is a blessing to take care of the Lord’s most precious little ones. Thank you for giving us that opportunity. Family Dedication services are meant to highlight and mark significant spiritual growth moments for families with children. It is important for them to know, even as infants, that God made them, loves them and Jesus wants to be their friend forever. Our Preschool Ministry is the beginning of an ongoing partnership with parents to equip them to be disciple-makers in their homes. Parents of a first-time Rolling Hills child are required to attend a Family Dedication Class prior to the service. For a schedule of these classes, the upcoming dedication services, or if you have any other questions please contact our Interim Children's Director, Amy Couch. Sundays on Main Street are full of energy and fun. All year long, kids engage in both small and large group interactions to learn three core truths and more than 150 Bible stories. Our Sunday morning environment gives your child opportunities to experience refreshing worship, learn age appropriate truth, and build relationships with leaders and peers. We strive to create an environment that is kid-friendly and Christ-centered. Kindergarten-5th grade kids study 252 Basics from the reThink Group. If you'd like to know more about Sunday mornings for kids at Rolling Hills, email our Interim Children's Director, Amy Couch. Kids in elementary ministry can take a number of significant spiritual growth steps at Rolling Hills. Declaring faith in God and learning to follow Him daily comes from an ongoing partnership with parents to help pass life with Christ on to kids. At Rolling Hills, members are called partners because of the responsibility they bear for the mission and ministry of the church. Kids who become Christians are given a chance to learn about covenant relationships in the church with our very own kids partnership class each semester. Kids who have trusted Jesus for salvation and followed through with believer’s baptism can participate in the partnership class for kids. 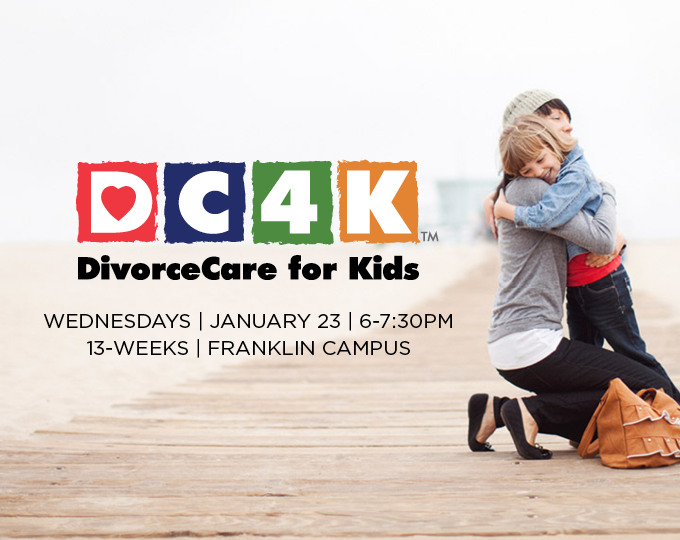 DivorceCare for Kids (DC4K) provides a safe, fun place where your children will learn to understand their feelings, express their emotions appropriately, feel better about themselves and develop coping skills. RHCC we will offer our next group from January 23, 2019-April 24, 2019. If you are looking to connect to a group before then, please visit the DivorceCare website to see other local options.